I am sure that you know who that is in the picture above. Well, YES, it's the handsome, lovely, southern boy everybody loves, Nelly. But did you see what he's wearing that actually makes him look less handsome? I mean what could upstage that kind of beauty? 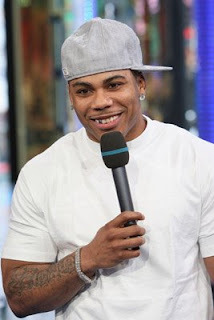 Um, Nelly, are you still with Ashanti??? 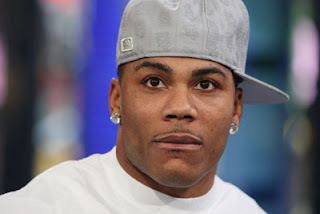 I mean, okay, I was slipping for a minute there, but Mr. Nelly, your earrings look great hun and...............so do you, okay - BYE!! !